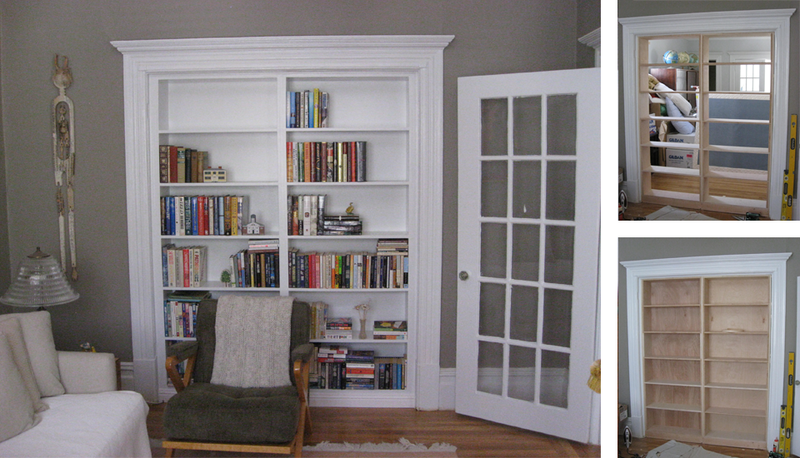 This custom bookcase was built into an open passageway between two adjacent rooms, converting an open area into two separated spaces. The bookshelf acts as a privacy wall between the spaces, allowing the connected space to be converted into an additional bedroom. Project included: Shelf design, construction, installation and paint.